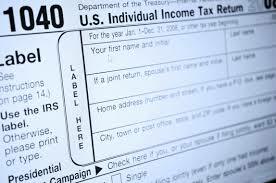 As in years past, the library will be distributing Illinois and federal tax forms to the public. According to the Internal Revenue Service, “the majority of shipments for Forms 1040, 1040 and 1040EZ, and their respective Schedules and Instructions may begin in mid to late January.” The forms will be on shelving adjacent to the Ask Us Desk. For questions, call 630-887-8760, ext. 240. We are excited to announce the arrival of the 1040 instruction booklets. Pick up your copy today! Want to check out tax resources online? Visit our Tax Help page for links to the federal and state websites. The production of some 2012 major tax products, including the Form 1040 and the Instructions for Form 1040, is impacted by the recent passage of the American Taxpayer Relief Act of 2012. At this time, we do not have an estimate as to when products will become available on IRS.gov or in print.